Role of laparoscopy in management of carcinoma of the gall bladder is still controversial. Unlike other gastro intestinal cancers, only few reports of radical cholecystectomy are available. 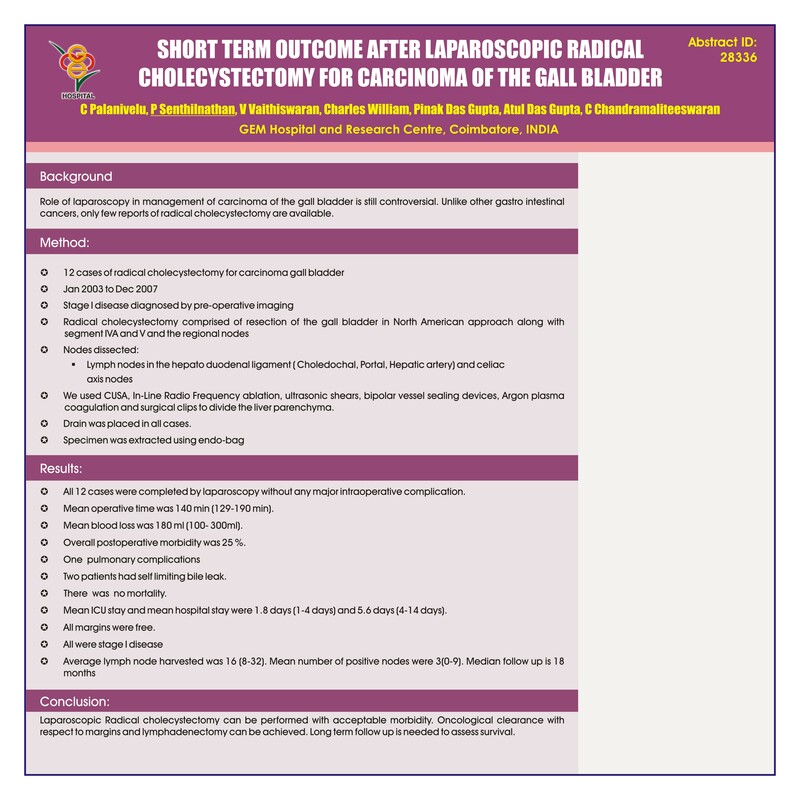 Laparoscopic Radical cholecystectomy can be performed with acceptable morbidity. Oncological clearance with respect to margins and lymphadenectomy can be achieved. Long term follow up is needed to assess survival.